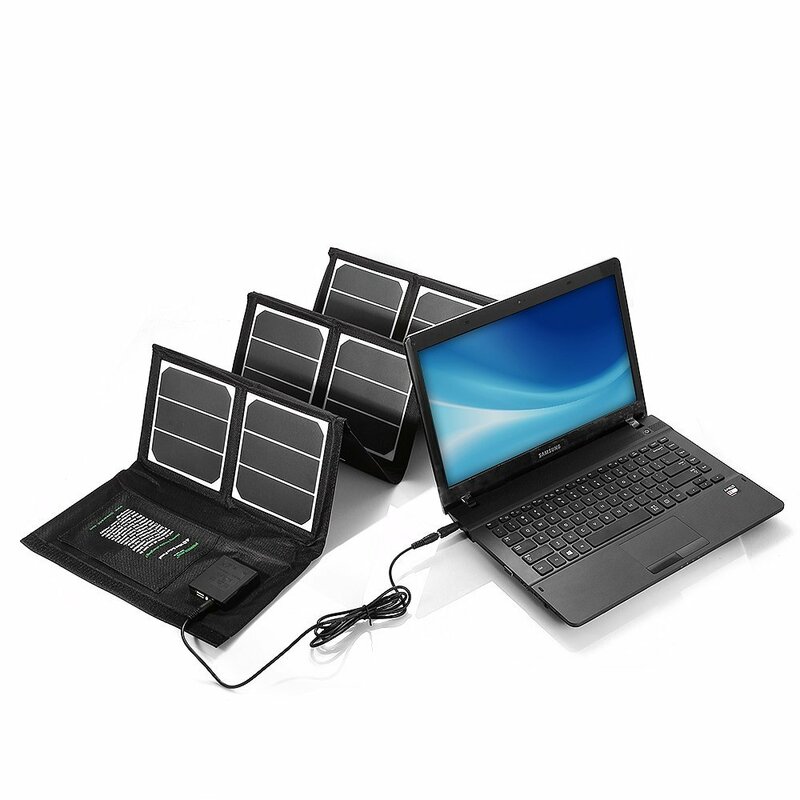 Here is a solar charger capable of recharging your phone and laptop. 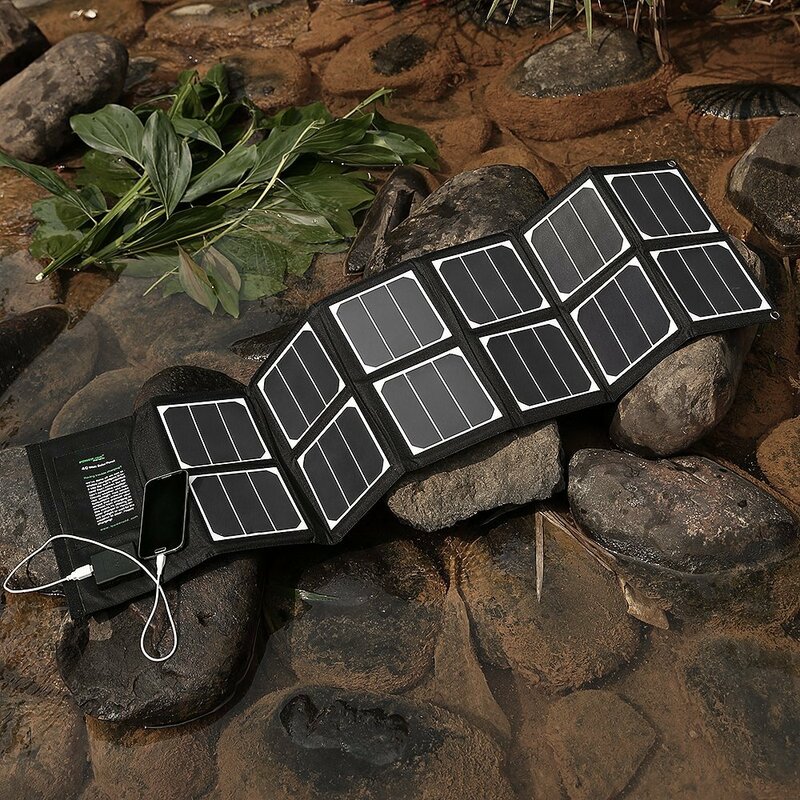 The Poweradd Foldable Solar Panel offers 22% efficiency with 2A output. It has a USB port (5V/2A) in addition to a DC output (18V/2.2A). Its voltage regulator keeps voltage and current stable to protect your valuable gadgets. The Poweradd solar charger has a waterproof canvas, so you can take it with you outside with peace of mind. This solar charger is capable of charging your phones, GoPro cameras, tablets, and everything in between. It folds, so you can carry it around easily. You can also attach it to your bag. Like what you see? You can get it for under $200 at this point.